Colourlock Leathercare Ltd is a New Zealand owned, Wellington based company which was established by entrepreneurial New Zealanders with international business experience and skills in innovation and problem solving. 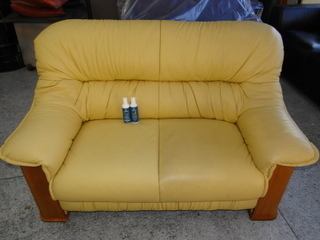 The company specialises in leather care products. Working together with LederZentrum GMBH Germany – the European market leader for leather cleaning, care and protection products, Colourlock Leather Care Ltd manufactures and markets a range of high quality products, meeting and exceeding the requirements for the furniture and automotive industries in New Zealand and around the world. Colourlock’s leather care products are made from high quality, non-toxic ingredients and are designed to provide a user friendly, simple and effective solution for the care of leather in your car, lounge or wardrobe. Made by the professionals for the professionals, Colourlock makes use of the latest leather care technology, for example, Colourlock Leather Shield® – a unique new product designed using nanotechnology to prevent and protect against friction damage on high contact areas by modifying the surface of the top coat polymers with tiny (100 Nanometre) particles and additives, effectively creating a high tech barrier between the surface and friction causing articles. The products are now sold in over 70 countries worldwide to companies in the furniture, automotive, hospitality, clothing and footwear industries including Mercedes-Benz, Harvey Norman, McDonalds, BMW, Lufthansa airlines, VW, Recaro, Audi and many others. 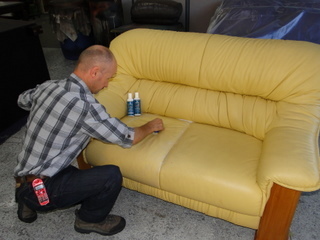 A demonstration of the effects of Colourlock Leather Cleaner on a soiled leather couch. Later Colourlock Protector was applied. 24-hours later Colourlock Fadegard was added to condition and moisturise the leather, protecting it from further fading and damage.